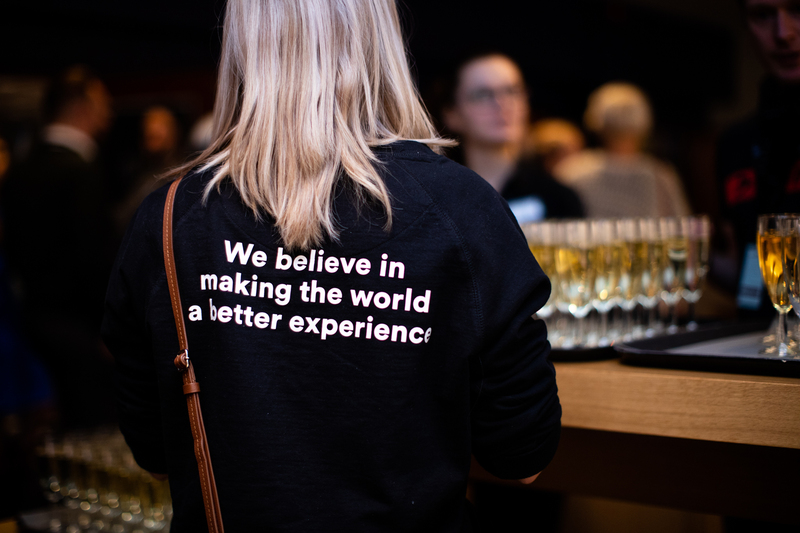 On Tuesday 30.10.2018 we organized the very first Helsinki Design Thinking Hackathon, gathering 120+ participants from various backgrounds to solve real life challenges of Artificial Intelligence and its relation to customer experience. 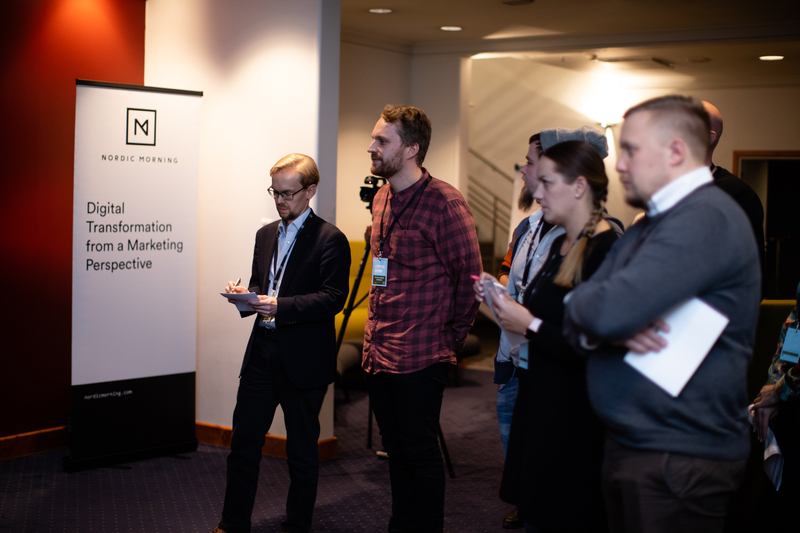 The challenges were provided by our four partners Alko Oy, LähiTapiola, VR Group and Finnair. It was fascinating to see how well all the participants were able to throw themselves into the game, although they were surrounded by people they didn’t know from before. Everyone bravely trusted the process of design thinking although many times they felt they were running out of time or got stuck with the ideation. 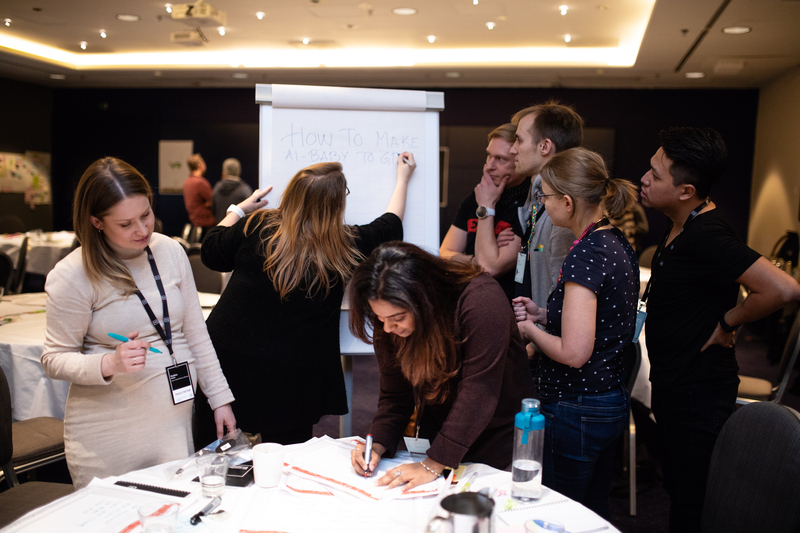 "I particularly enjoyed candies, superb facilitator, great team member, challenging challenge!" "It was organized well & it flowed well." "I enjoyed the atmosphere and meeting with a diverse bunch of fascinating persons." We would like to give thanks to all of you who were involved in the Hackathon, we can’t wait for the next one to come! 🚀 In the meantime, you can check our Service Design, Digital Design and Development offering. Ps. 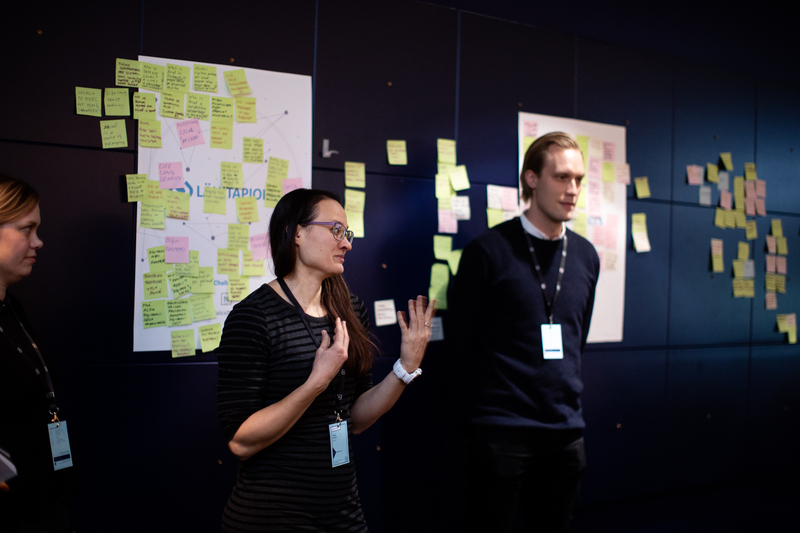 If you would like to arrange a Hackathon together with us or otherwise would like to hear how Nordic Morning could help your company's development using Design Thinking methods, reach out - we are happy to come and discuss things further!